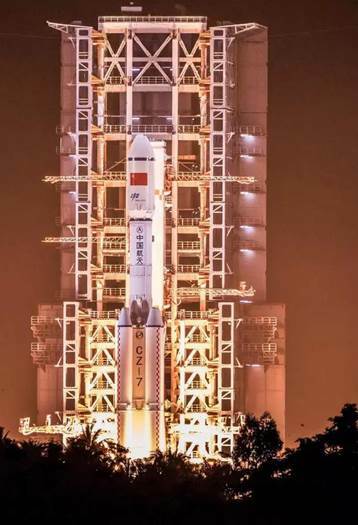 At 20:00 of June 25, China launched its new carrier rocket Long March-7 successfully in Wenchang spaceport, Hainan Province. At the same time, Weihua Group received a letter of thanks from the launch headquarters for thanking its outstanding contribution to the launch mission. There are 5 double girder overhead cranes used at the Launch site for rocket parts lifting, transport, and refueling, etc. Compared with other cranes, the biggest advantage of Weihua Cranes is the anti-sway technology adopted by these cranes. 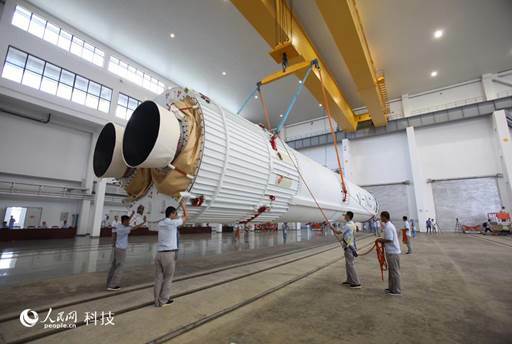 It is known that it requires very high precision for rocket assembly and launch; and common cranes cannot do this job because of the swinging during operation. Weihua anti-sway technology is realized by simulating the movement, design mathematical modeling, computer-controlled operation of key components, ultimately reducing the angle of the swing within 0.2 °, and the swing amplitude is decreased by 95%, so that the lifting of weights is very stable and users can accurately carry out operational intentions. Weihua Anti-swing technology has obtained national patent. Now Weihua Group is cooperating and has established good work relationships with 4 major Satellite Launch Center in China.